Every year around this time, the Danish design and lifestyle brand Normann Copenhagen teams up with CPH:DOX (Copenhagen International Documentary Film Festival). The brand is responsible for the interior at Kunsthal Charlottenborg, a palace in the heart of Copenhagen, where a part of the festival takes place. 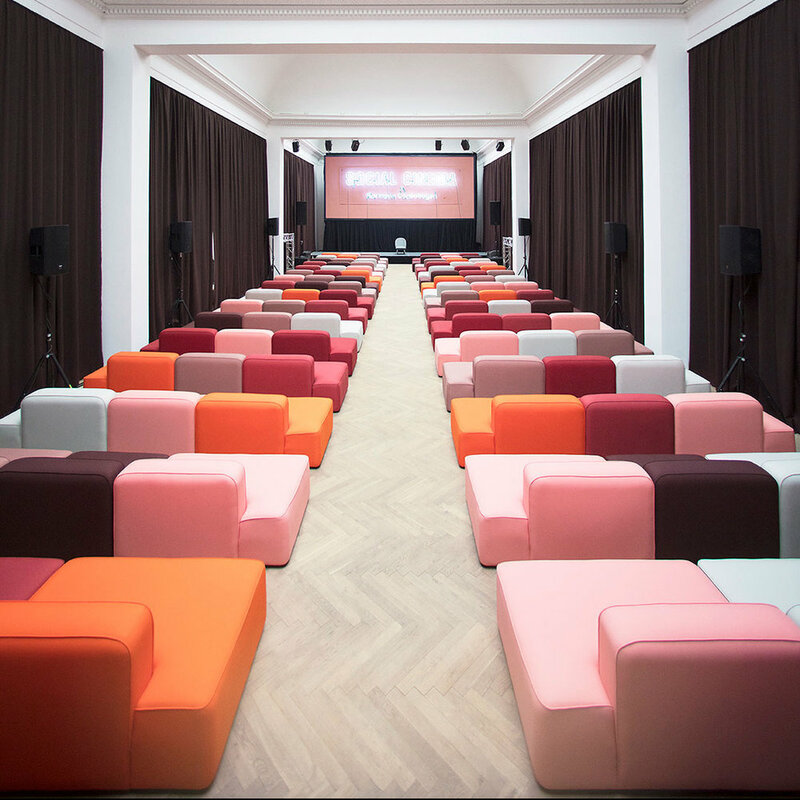 Let’s take a look at the cool interior design Normann Copenhagen did for CPH:DOX back in 2017, when they launched Denmark’s first pop up designer sofa cinema. The cinema is called Social Cinema and can house 250 people. It’s furnished with 6 different colors of Normann Copenhagen’s Rope Modular Sofa designed by Hans Hornemann. According to CPH:DOX the cinema encourages a laid back and social film experiences that (literally) brings the audience closer together. This video produced by Normann Copenhagen reflects how the cinema experience should feel like. Have a look, it is amazing! The VR Cinema is also decorated by Normann Copenhagen. This room is furnished with 20 of the Form Swivel chairs designed by Simon Legald. We just can’t get enough of Normann Copenhagen and CPH:DOX’s collaborations! 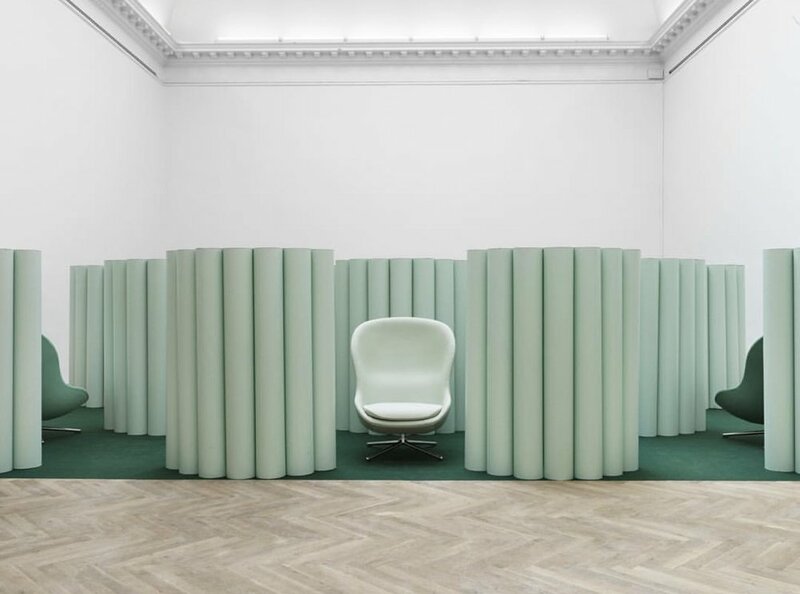 If you want to see what they have been up to lately, you can have a peek at Normann Copenhagen’s interior design for CPH:DOX 2019. If you enjoyed this article, you should check out our interview with Simon Legald, the person behind many of Normann Copenhagen designs.